My husband and I both love music and one thing we ensure whenever we have road trips is to have a good CDs with us to play while on the road. Sometimes there are bad signals when you use FM stations, and since there are places that is hard to reach by those stations we prefer to have a continuous music instead. A nice way to enjoy while on the road is to be able to get a good FM signal, in case you are want to listen to other music aside from the ones you brought with and using a Streambot Y Bluetooth FM transmitter could give you a satisfying signal. Another thing that I am concerned about while on the road is the outgoing and incoming calls, we can't tell which one is emergency until we answer a phone call. Holding your cell phone while driving is way illegal and prohibited by law as it cause a lot of accidents and we don't want that to happen. That's why the Streambot Y Bluetooth is not only for an FM transmitter, but can also be used for calling someone while on the road. 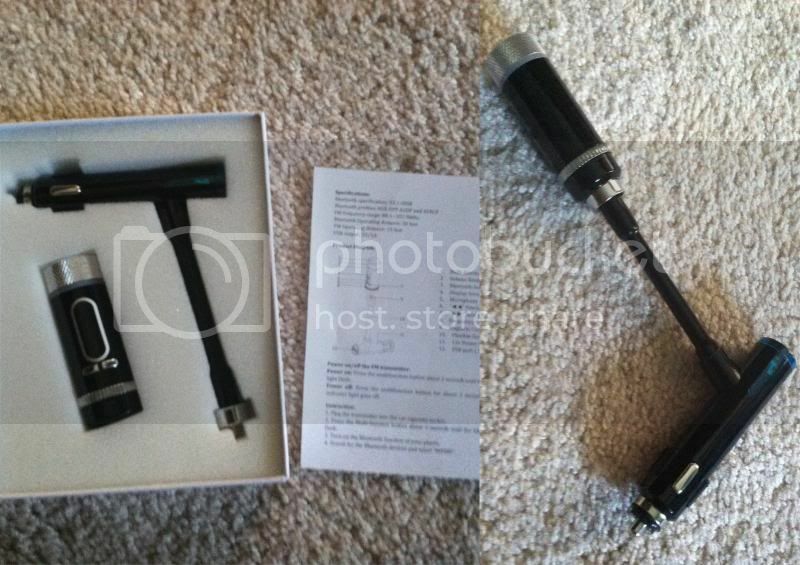 The installation of this device is very simple, all you have to do is to connect the 12v power plug into your car's cigarette socket. Press the multifunction button about 2 seconds until the blue indicator light flash, that's how you turn on the device and press the same button if you wish to turn it off. Turn-on the FM transmitter is very simple, after you press the multifunction button on, you need to turn on the Bluetooth function of your phone and search for the Bluetooth devices and select "MPOW". After a successful pairing, the blue indicator light will be always on and tune the car FM radio frequency to an unused FM Station and enjoy your music through the car stereo. My observations, the pre-set phone will connect automatically when turns on. To have the best audio quality turn the volume on your cell phone and FM transmitter into the max level or normal level you are using. If the noise is too loud, you can always find other FM frequency. Now the fun part, as I mentioned that you can answer a phone call through this transmitter as well. For iPhone users, press the multifunction button and press the "Answer" button on your iPhone and check your iPhone call menu. Find the audio source and select the transmitter "MPOW". For Android users such as Samsung, HTC, Sony, etc. Press the multifunction button and press the "Answer" button on your phone. It's fun to have this handy transmitter with you and enjoy the FM transmitter, playing music from your iPhone, iPod or any Smartphone devices in a Bluetooth way as well as answering phone calls, rejecting and ending calls in one. You may find this very cool in-car gadget which comes with hands-free calling, music control, and charging port @ Mpow Streambot Y Wireless Bluetooth FM Transmitter, you may also find more amazing products on their website by visiting http://www.xmpow.com/. It's your chance to win a Streambot Y Bluetooth FM Transmitter from MPOW. I am hosting a giveaway starting June 27, 2014 12 AM EST. Come back on June 27, 2014 and join this exciting prize. This is NOT a sponsored post. 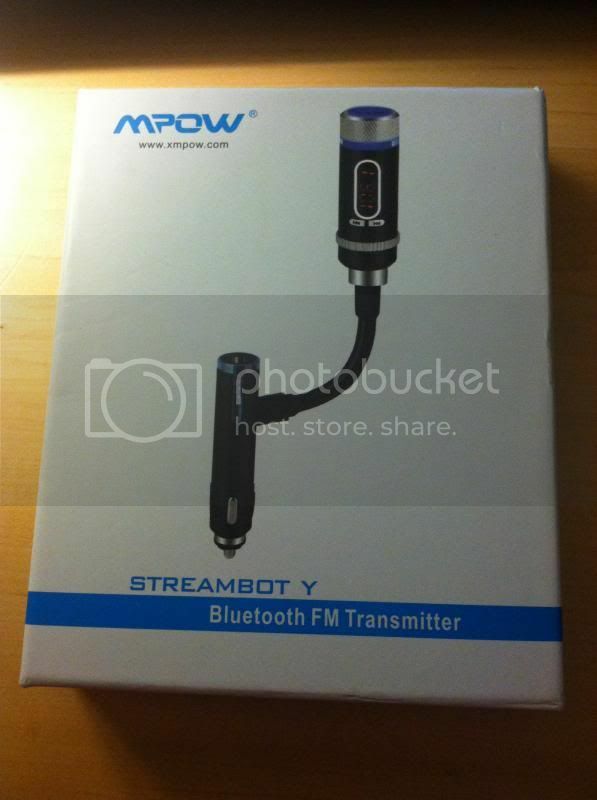 I received the Streambot Y Bluetooth FM transmitter product from MPOW for free in exchange of my honesty review. The outlook I expressed is 100% exclusively mine.